The opening concert of this year’s Herts Jazz Festival is by a band which has been developing apace ever since it first got together in 2013. 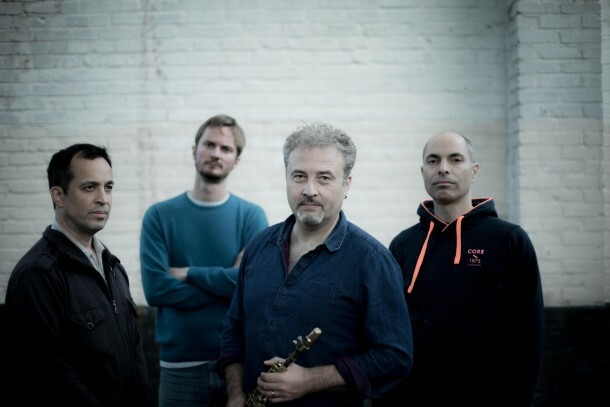 They’ve been adding to their repertoire: “We could play all night, we’ve got loads of songs” said Tim Garland after the recent Manchester Jazz Festival gig by his “Electric Quartet” with pianist Jason Rebello, guitarist Ant Law and percussionist Asaf Sirkis. Another aspect of this group’s work is what it says in the title: “electric.” All four members of the quartet are players who use the extra volume and scale that electric instruments and effects and amplification give as part of a continuum of volume from very soft to very loud. They are all “electrified” with saxophonist Tim Garland using signal processing with the saxophones, and Rebello making a feature of his Fender Rhodes . There is probably no drummer with as wide a dynamic range and as capable of a slow and systematic intensity build as Asaf Sirkis. He and Ant Law first got to know each other when the guitarist took lessons from him in Konnakol, the South Indian performance art of vocal percussion - which is another area of common interest which is woven into the performance. Another feature is that Ant Law plays three very different types of guitar during the gig: an 8-string electric, a 12-string acoustic, and the Yamaha Silent guitar, "just a frame no body," says Law. Tim Garland comments on this set-up: "With all the possible sounds, it's like a mini-orchestra." New videos of the Electric Quartet have recently been added to the Timgarlandmusic Facebook page.